Daniel Boulud, a native of Lyon, France, is today considered one of America’s leading culinary authorities and one of the most revered French chefs in New York, the city he has called home since 1982. He is probably best known for the exquisitely refined DANIEL, the three Michelin-star Relais & Châteaux restaurant. Over the last two decades, Boulud has evolved from a chef to a chef-restaurateur, bringing his artistry to NYC restaurants Café Boulud, Bar Boulud, Boulud Sud, db Bistro Moderne, DBGB Kitchen and Bar and Épicerie Boulud. Outside of New York, the chef’s seasonal French-American cooking is found in Washington, DC, Boston, Florida, Las Vegas, London, Singapore, Montréal and Toronto. Daniel Boulud is the author of eight cookbooks, the recipient of multiple James Beard Foundation awards including “Outstanding Restaurateur,” “Best Chef of New York City” and “Outstanding Chef of the Year”. 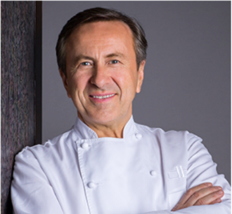 In 2006 Boulud was named a Chevalier de la Legion d’Honneur by the French government for his contribution to the advancement of French culinary culture. 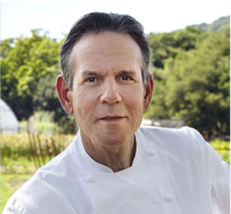 Renowned for his culinary skills and his impeccable standards, Thomas Keller is the chef and proprietor of The French Laundry, a Yountville, California landmark that has been hailed as the finest restaurant in the world. Ten years after opening this, his first restaurant, in 1994, he followed with Per Se, which brought his distinctive fine dining style to Manhattan. Today, both restaurants enjoy three-star Michelin ratings, making Keller the first and only American-born chef to hold multiple three-star ratings from the prestigious dining guide. Chef Keller has also opened Bouchon, Bar Bouchon, Bouchon Bakery, and Ad Hoc, each of which contributes to the new paradigm he has set within the hospitality industry. More than one million copies of Chef Keller's books, including the New York Times bestsellers “Ad Hoc at Home” and "Bouchon Bakery," and "The French Laundry," “Bouchon," and “Under Pressure,” a book devoted to sous vide cooking, are in print. Keller was designated a Chevalier of The French Legion of Honor in 2011, the highest decoration in France, in recognition of his lifelong commitment to the traditions of French cuisine and his role in elevating cooking in America. He is only the third American culinary figure to be so honored. Jérôme Bocuse is a native of Lyon, France, and is the son of Paul Bocuse, the legendary chef and founder of the Bocuse d’Or. Jérôme Bocuse has been involved with the Bocuse d’Or International planning since 1993 and officially assumed Monsieur Paul Bocuse's responsibilities as President of the Bocuse d'Or in October 2016. In addition, Jérôme Bocuse owns and operates Les Chefs de France and Monsieur Paul restaurants at the France Pavilion at Walt Disney World’s Epcot® in Orlando, Florida. The two restaurants made their debut for the opening of Epcot in 1982 and were originally owned and operated by Paul Bocuse, Gaston Lenôtre and Roger Vergé. Jérôme Bocuse is a graduate of the Culinary Institute of America and the Florida International School of Hospitality Management. As a founding member, Jérôme Bocuse continues to support ment'or's Grant and Young Chef programs. Edmondo Schwartz is an entrepreneur and financier. His interests include real estate, entertainment and finance. 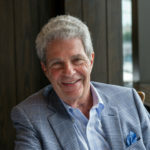 He is the Founder and President of EMS, a full-service real estate firm; Co-founder and Managing Director of Greenwich Entertainment, LLC, which distributes foreign, independent and documentary films and produces and distributes its own documentaries and feature films; and Managing Partner at SMS Capital, LLC, an investment firm that owns and operates a variety of businesses in fields such as oil production, banking, restaurants, manufacturing and movie exhibition. Mr. Schwartz resides in Alpine, New Jersey with his wife and four children. In addition to the mento'r BKB Foundation, Mr. Schwartz’s charitable interests have included the Bergen Performing Arts Center, the Make a Wish Foundation of Metro New York and The Englewood Hospital and Medical Center. 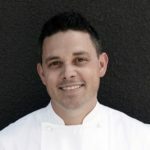 After graduating in 2001 from the New England Culinary Institute in Montpelier, VT, Gavin Kaysen worked at Domaine Chandon in Yountville, CA, L’Auberge de Lavaux in Lausanne, Switzerland, and the famed L’Escargot in London, before becoming executive chef at El Bizcocho in San Diego, where he was named one of Food & Wine magazine’s Best New Chefs. In late 2007, he joined Chef Daniel Boulud as chef de cuisine of Café Boulud in New York City, where he later earned the James Beard Rising Star Chef award and a coveted Michelin star. Gavin Kaysen ultimately returned home to Minneapolis to open Spoon and Stable, a 2015 James Beard Award Finalist for Best New Restaurant. Today, Gavin Kaysen helps the next generation of young culinarians refine their skills in the kitchen. 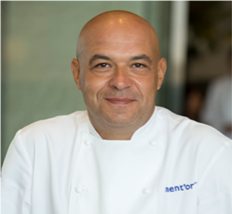 He currently serves as Team USA’s Vice President, bringing an intimate knowledge of the Bocuse d’Or, as he proudly represented the US in 2007. In 2015, he successfully led Team USA to a record-breaking 2nd Place victory, the first medal and podium placement for the United States. This set the stage for future success, and in 2017 Team USA claimed first place for the very first time. Bellecour, Gavin Kaysen’s second restaurant, opened in spring 2017. The French bistro is a nod to his friends and mentors Chefs Daniel Boulud and Paul Bocuse. Brian Diamond has served as Chief Financial Officer of The Dinex Group since January 2016, having previously served as Director of Finance to The Dinex Group from May 2013 to December 2015. 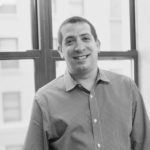 Prior to joining The Dinex Group, Brian was Vice President of Finance for Culinary Concepts Hospitality Group, a subsidiary of Starwood Hotel and Resorts Worldwide. Culinary Concepts was a joint venture between Jean-Georges Vongerichten, Catterton Partners, and Starwood Hotel and Resorts Worldwide. During his time at Culinary Concepts, there were 24 new restaurant opening all across the world. Prior to Culinary Concepts Hospitality Group, Brian served as CFO for the Tao Group. Tao Group operates the highest grossing restaurant in the United Sates. 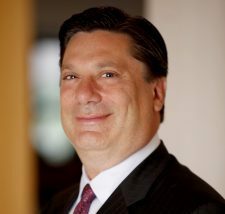 Brian started his career at Smith and Wollensky Restaurant Group in June of 1996. Brian held various financial positions there ending as their Director of Financial Reporting in April of 2007. Smith and Wollensky expanded nationally and went public during Brian’s tenure with the company. Brian received his Bachelor of Business Administration degree from the University of Miami (FL) in 1994. He currently resides in Livingston, NJ with his wife and two children. 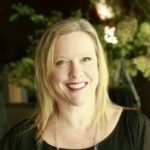 Julia Russell holds the position of Senior Director, Global Loyalty Strategy & Innovation at Wyndham Hotel Group, where she is responsible for managing the value proposition and global acquisition strategy across all channels for the Wyndham Rewards loyalty program. Prior to joining the company in 2013, Julia worked for American Express for 14 years in a variety of strategy, business development and product marketing roles. Julia first joined American Express as a manager of interactive strategy and transitioned to roles that include management of Corporate Card products for North America, Global Merchant Services network strategy and business development, Delta co-brand portfolio relationship management and management of consumer Platinum & Centurion Card benefits. Prior to American Express, Julia worked for the French Trade Commission, a division of the French Ministry of Economy, Industry and Employment, as a commercial attaché. Julia holds an MBA from The Wharton School, University of Pennsylvania, and a BA from Lehigh University. She lives in NJ with her husband and their two young daughters. Sean R. Weissbart is Counsel at Morris & McVeigh LLP in NYC, focusing on domestic and international estate planning, estate and trust administration, and litigated matters in the Surrogate’s Court. He also advises tax-exempt organizations on matters from applications for tax exemption to avoidance of excise taxes and the unrelated business income tax. He is an Adjunct Professor of Law at New York University School of Law, teaching Income Taxation of Trusts and Estates, and Fordham University School of Law, teaching Trusts and Estates Drafting. His articles have been featured in The ACTEC Law Journal, The Journal of Taxation, and Estate Planning. He has received the MFY Justice Award for outstanding pro bono representation and, since 2015, has been selected every year by Super Lawyers magazine as a “Rising Star” in the fields of estate planning, probate, and nonprofit organizations. 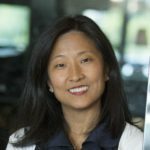 Young Yun joined the men’tor BKB Foundation in 2013 as Executive Director after a 14-year tenure at American Express. Her knowledge and experience in strategic and business development, customer loyalty and marketing serves as the voice of the Foundation’s Board of Directors, including Chef/Founders Daniel Boulud, Thomas Keller, and Jérôme Bocuse, helping to bring their vision and mission to fruition. As Executive Director at men’tor, Young develops strategic partnerships and marketing programs which continue to elevate the organization, while working to ensure that Team USA has the support it needs to compete on a global stage at the Bocuse d’Or competition. She was a critical part of the success that led to Team USA’s 2015 Silver Medal and Team USA’s 2017 Gold Medal wins. Under her leadership, she also spearheaded the re-branding of the Foundation and launched two new programs to support young chefs across America. Young graduated with a BA in English Literature from the University of Pennsylvania and lives in NYC with her family.